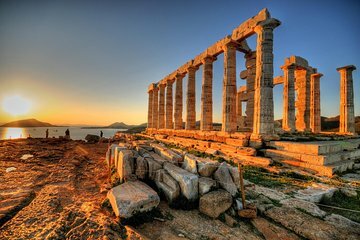 Take a scenic drive along the Attic peninsula from Athens to Cape Sounion. Destination: the Temple of Poseidon. Dedicated to the powerful sea god, the temple sits atop of rocky outcrop that juts out into the sea. In ancient times, it was the last thing mariners saw as they left Greece. If time permits, have dinner at a local restaurant and take in the sunset over the Aegean Sea.